Since 2015, Kinder Australia has acquired the exclusive Australian distribution of K-AllShelter®/Capotex Conveyor Belt Covers. K-AllShelter®/Capotex belt covers deliver robust, aerodynamic and lightweight solution that ensures personal safety from moving parts, suppressing dust and protects the environment. These are now issues that address growing environmental compliance requirements for Australian bulk materials handling operations. In many overseas countries, particularly Europe and Latin America legislations have been put in place that make it mandatory for conveyor belts to be enclosed with protective covers. OHS hazards and accidents from incorrectly using conveyor belts include conveyed material falling away during transportation, hitting and seriously injuring workers. There is also the potential risk of workers being dragged and/or entrapped within the transporting belt by clothing, hair and other loose elements. “Covering up makes sense not only helping to minimise or eliminate serious costly belt mistracking problems which can arise when moisture seeps into the cracks and extending the wear life of the conveyor belt. But also, ensuring the safety and instances of injury/accidents to workers is of paramount importance.”, says Neil Kinder, CEO – Kinder Australia. 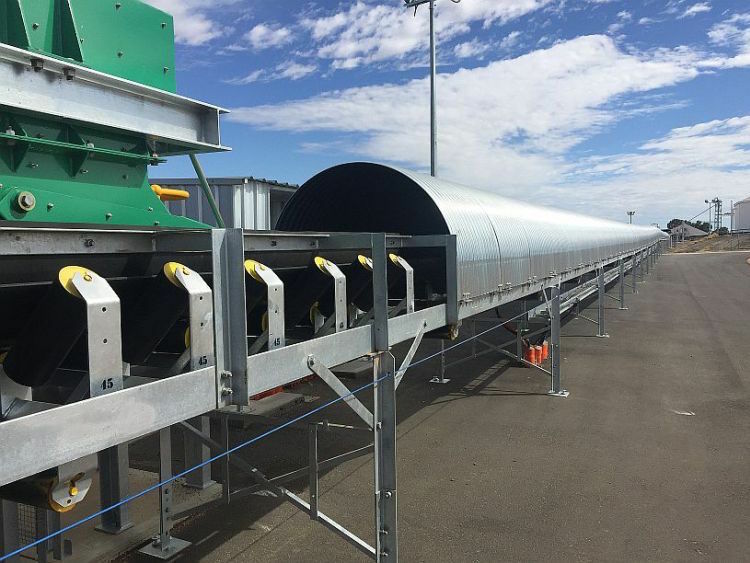 Conveyor belt covers act as protective barriers against the harsh environmental elements as well as keeping workers free from dust contamination and associated maintenance clean-up costs. Kinder says “when review and selecting the best conveyor belt covers to install, there are a few important factors to consider such as durability, lightweight and ease of access.”.